With our February concert, the Arvo Pärt Centre remembers the world-famous Russian conductor Gennady Rozhdestvensky, with whom Arvo Pärt had a long-standing creative relationship and who passed away in June last year. The conductor last visited Estonia approximately five years ago. Rozhdestvensky and his wife, pianist Viktoria Postnikova, visited the Arvo Pärt Centre in summer 2013 and performed a concert with ENSO in December 2014, which also included Pärt’s Lamentate, a work that has always had a place in Postnikova’s repertoire. On the stage of the Arvo Pärt Centre Viktoria Postnikova will perform with her son, violinist Sasha Rozhdestvensky. 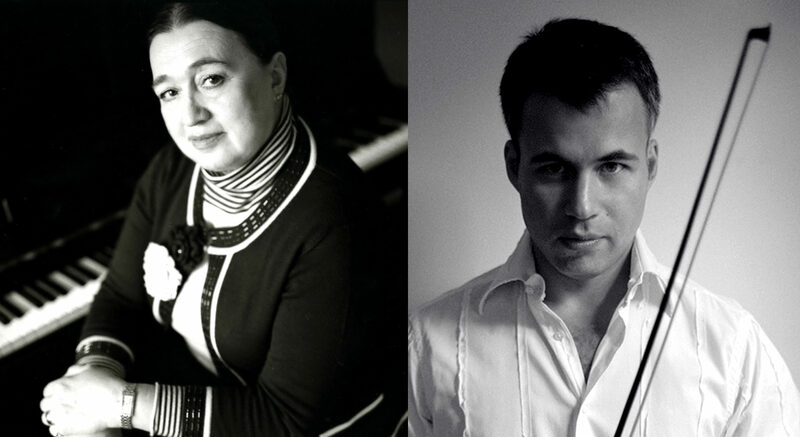 Both highly acclaimed soloists who have performed with world-famous orchestras and also together as a chamber ensemble. Some of their last performances together were the memorial concert for Gennady Rozhdestvensky in the Great Hall at the Moscow Tchaikovsky Conservatory and a recital at the Gstaad New Year Music Festival in Switzerland. Tickets available through Piletilevi from 16. January.